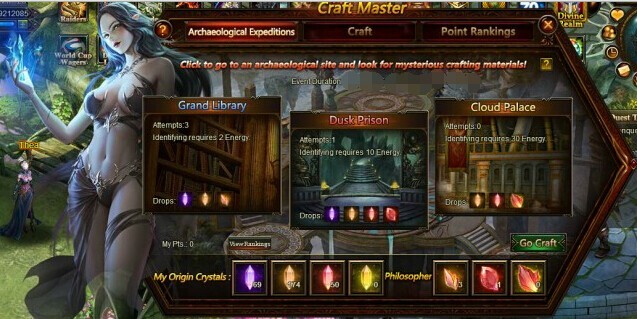 LoA_Enjoy Craft Master and craft more resources! After collecting specified materials, you can craft certain items, including Normal Gift Box Key x1, Angelic Gift Box Key, Divine Gift Box Key, Awakening Stone, lvl. 8 Fusion Gem, Lvl. 9 Fusion Gem, Lvl. 9 Superior, Lvl. 10 Superior, Skill Book-Dominating Will, Skill Book-Skeleton Shield, Skill Book-Pristine Spirit, Skill Book-Thunder Strike, Lvl. 10 Cherubstone, Lvl. 11 HP+PDEF Gem, Lvl. 11 PATK+Crit Gem , Ungodly Soul and many more. For relevant Hot Events details, seen in Cross-server tycoon event. More exciting events are coming up through Mar 24 to Mar 27 (Server Time), check them out in the in-game Hot Events menu now! LoA_Be popular in Rose Rankings! LoA_Occupy More Items in House of Cards and Wheel of Luck! 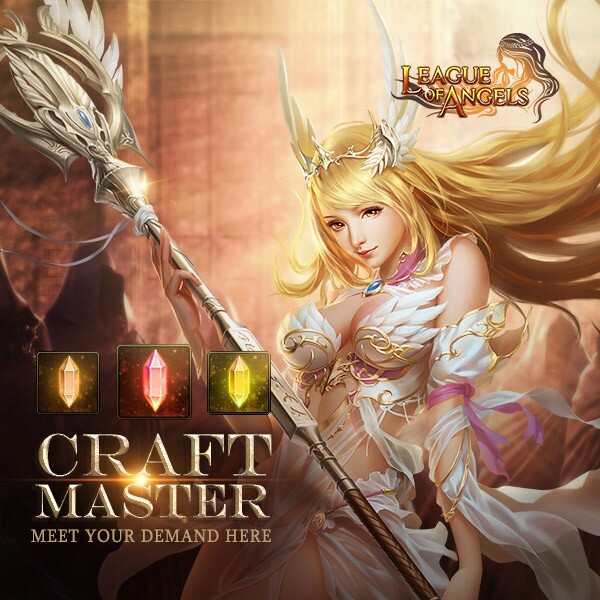 LoA_Craft Master: Meet Your Demand Here! LoA_Great Discount in Djinni's Merchant!